This is the latest installment of In the Details, our weekly deep-dive into the making of a new product or project. 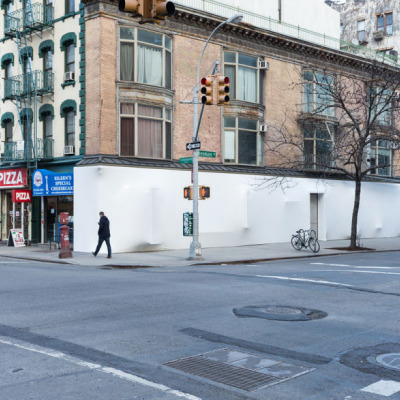 Last week, we watched SO–IL shrink-wrap Storefront. While Piet Hein Eek has made a name for himself building chunky, patchwork furniture from discarded wood scraps, his latest project, a collection for LEFF Amsterdam, brings a new delicacy and sleekness to the Dutch designer’s repertoire. Appropriately dubbed the Tube Series, the collection includes a bedside clock, a table clock and a small speaker, all elegantly—and nearly impossibly—encased in slender metal tubes. 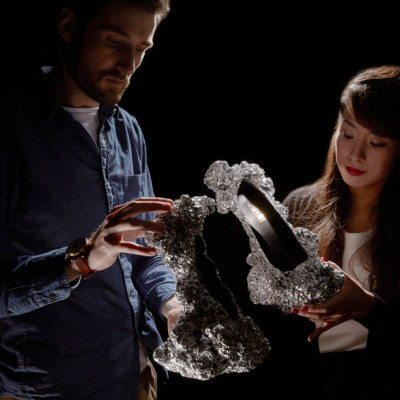 The collaboration began in 2013 with a call from Arno Ruijzenaars at LEFF Amsterdam. Ruijzenaars had seen a series of wallpaper designs (also wooden patchwork) that Eek had done for the company NLXL, and was keen on the designer creating a clock for LEFF, the company he founded in 2011 with his brother, Dennis, and the designer Erwin Termaat. 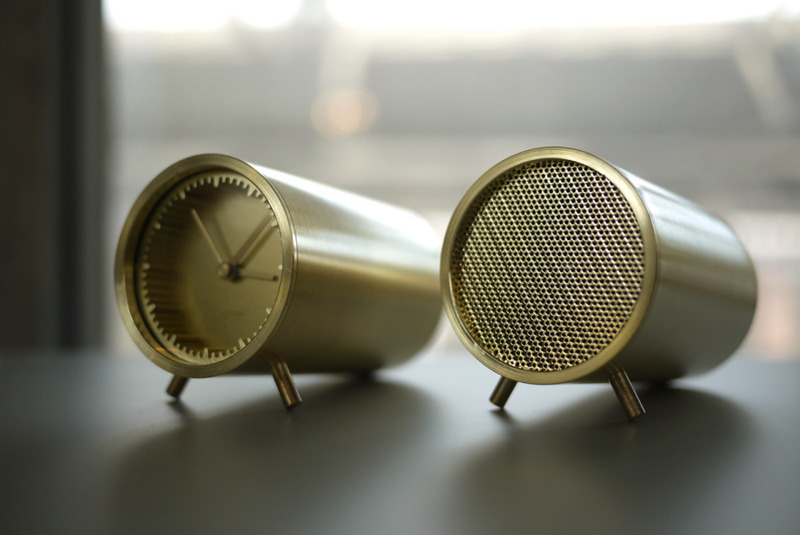 Piet Hein Eek's Tube Clock and Tube Audio come in steel, copper or brass (pictured). 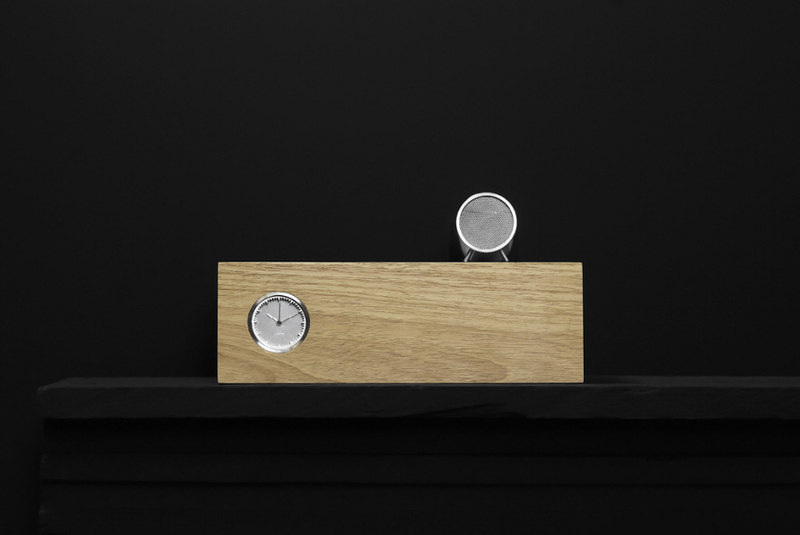 Upon designing the timepiece, however, Eek and the team at LEFF found the object so beautiful on its own that they decided to develop it further, rather than creating a full-blown DIY product. As the technical design of the object evolved through a series of prototypes, the original tube form remained pretty much unchanged, other than the addition of a pair of removable cylindrical legs. And Eek did not completely abandon the idea of encasing the tube clock in a simple block of wood—one version of the clock comes pre-embedded in a piece of brown oak, black ash or natural Hevea wood. As part of the development process, Eek also came up with the idea for an extruded ring indicating the hours of the clock. “The guys at LEFF Amsterdam could not believe that such a signing did not already exist,” Eek says. “It’s such a simple idea. They searched like mad, but it had not yet been done.” The extruded piece is cut on a water jet and placed directly behind the glass face. To achieve this, the team used thread to help position everything in perfect alignment. Other components were added in a similar way: Starting with an empty tube, elements were stacked in order and then carefully placed inside the tube using thread. “Very simple,” Eek says of the seemingly very stressful, complex process. The idea to create a speaker was secondary, coming from LEFF—while traveling, Ruijzenaars saw the need for a bedside speaker in addition to a bedside clock. 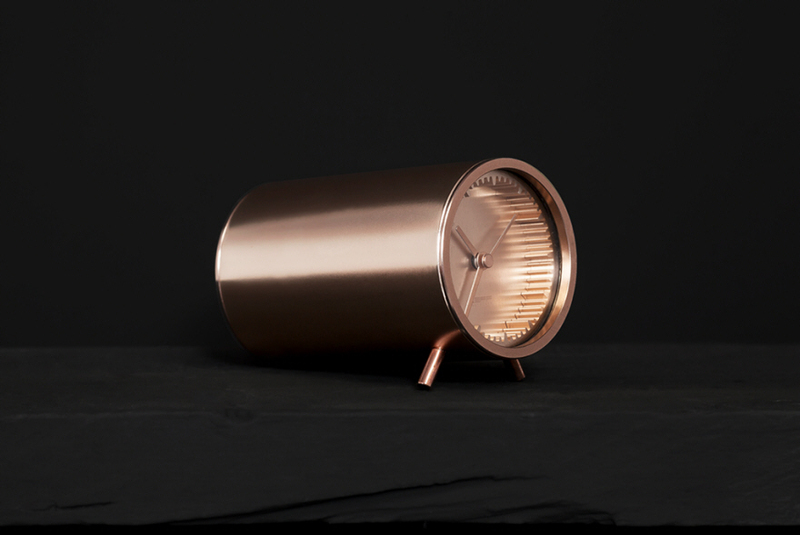 So Eek and the LEFF team created a small Bluetooth speaker with the same form as the clock, adding an antenna to circumvent challenges with having a Bluetooth connection through the copper, brass, or steel casing. “The antenna was a challenge because it had to come out of the back in a beautiful way,” Eek says, adding that LEFF finally found a pull-out style antenna that fit the bill. He recommends pairing the speaker and the wood-encased version of the clock, with the speaker perched on top. 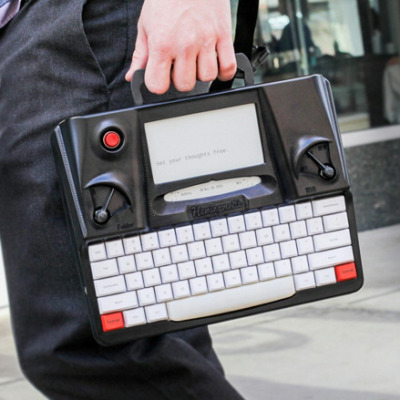 “It becomes an even more beautiful and functional setting,” Eek says.